The 10 blogs over 10 days didn’t really work out as planned. The preparations for this upcoming Vision meeting became a little overwhelming. The last post offered quick summary of an apparent “cycle” of church planting later in the book of Acts. After the Holy Spirit empowers the disciples, the church settles into a comfortable rhythm within Jerusalem. Unfortunately, it is possible they became too comfortable because they apparently were forgetting Jesus’ command to be witness in Jerusalem AND Judea AND Samaria AND to the ends of the earth. In order to “encourage” their movement, God allows the church to be persecuted. Without question, this is an attack of the enemy. It should give us great confidence to know that Satan’s attacks are always under God’s sovereignty and always employed for his purposes. We see that the persecution climaxes in chapter 8 with the martyrdom of the first Christian, Stephen. A young man named Saul is there presiding over the informal execution. The persecution results in Christians leaving Jerusalem to take the gospel elsewhere–God finds a way for his people to obey. Ironically, in the next chapter (9), the leading zealot is saved by Jesus. Saul the murdered becomes Paul the apostle. 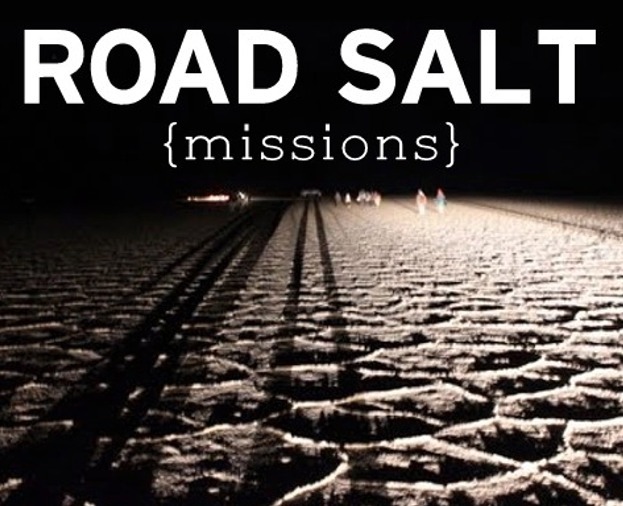 Chapters 10-12 are really about three different transitions or changes in the mission of God. We see the narrative move 1) from Peter to Paul as the key leader 2) from Jerusalem to Antioch as the key city, and 3) from Jews to Gentiles as the key focus of the mission. Beginning in Acts 13 then, Paul is commissioned by the church at Antioch (the first one helped to plant) for his first of three missionary journeys. From here, we begin to see a cyclical pattern of church planting emerge. Not only does it provide us a helpful guide about how to plant a church, it also helps us to understand where our church is in the cycle. The mission always begins with a man or a group of men. While any assessment process is important, it is not the decisive determiner of whether a man or team is qualified to lead a church planting mission. What we read is that the Holy Spirit is the one who calls men to mission. Literally, the mission began when a team of preachers and teacher were worshiping and fasting. As they did this, the Holy Spirit spoke. Whether it was audible or not, we don’t know. But we know that they were all in agreement that He had called Saul and Barnabas. Several other things are noteworthy. First, they men were called out of a team of preachers and teachers. In other words, they already seemed to have a healthy rotation in this church. Secondly, they prayed and fasted again to confirm the call. This wasn’t an impulsive decision. Third, and most importantly, we see that the call was affirmed by the local church. They did not get approval, permission, or even affirmation from some organization–good or bad–outside the local church. We see that the first thing Paul does on all of his missions is GO TO THE PEOPLE. Specifically, he made a practice of entering the synagogues in a given city. Synagogues at this time were not only centers of worship for the Jews, they were also centers of relationship for the community. Paul went to where the unbeliever people were and waited for his opportunity to share. The point is simply that Paul did not go and put up a sign for a new church. Rather, he engaged with the people in at the places they would naturally be gathering. I am not, therefore, defined by what I know, or what I do, what mistakes I’ve made, or what things I achieve, what family I’m from, or money I have. I am in Christ. I am saved, blessed, appreciated, reconciled, gifted, forgiven, new, and victorious. And because we live knowing who we are, we are free from having to find that in the world. And though we are free to do whatever we want in Christ, we live wanting to honor God in response to his love. 48 And when the Gentiles heard this, they began rejoicing and glorifying the word of the Lord, and as many as were appointed to eternal life believed. 43 And after the meeting of the synagogue broke up, many Jews and devout converts to Judaism followed Paul and Barnabas, who, as they spoke with them, urged them to continue in the grace of God. 44 The next Sabbath almost the whole city gathered to hear the word of the Lord. Once people are saved, they gather together to hear the Word of God. 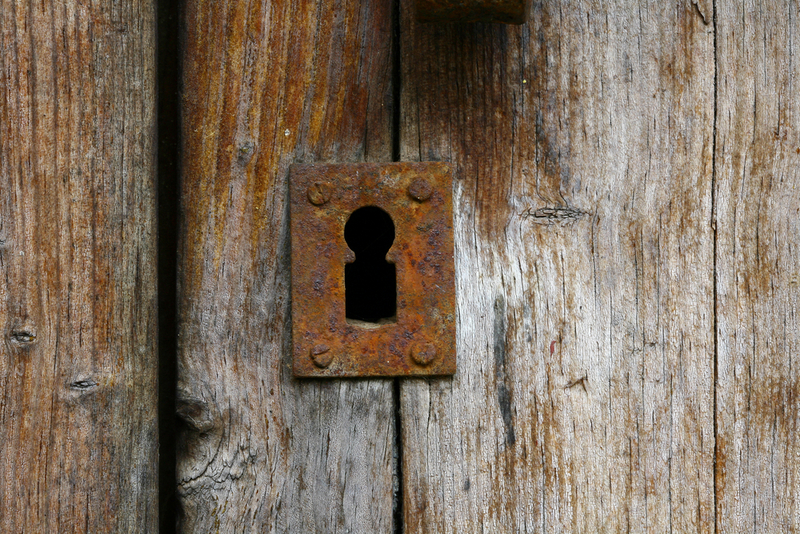 Though we have a personal relationship with the Lord, we do not have a faith that is individual or private. We are the body of the Christ, the house of God, the family of our Lord. The church, literally the “assembly”, is the gathering of the disciples of Christ. The gospel brings us into a community in order to help us mature in Christ. We gather to learn, to love, to serve, to worship, and to help one another–there are over 30 “one another” commands of Jesus that prove impossible to obey unless we are actively living in community. After believers are converted, they are immediately baptized, and a church is born. Unlike many of today’s church plants built through redistributing the Christians in a community, Paul’s churches grew through conversion. 21 When they had preached the gospel to that city and had made many disciples, they returned to Lystra and to Iconium and to Antioch, 22 strengthening the souls of the disciples, encouraging them to continue in the faith, and saying that through many tribulations we must enter the kingdom of God. With a group of new believers, new gathering would be like feeding newborns milk. Having received the gospel and been baptized as Jesus commanded, those who are mature in Christ has responsibility to teach them “All that Jesus Commanded.” This is not an overnight process. Paul would often spend several years in one location to strengthen the disciples and teach them the faith. According to Titus 1.5, there are things to “get in order” for a church to function as a church. More than once in his letters, Paul mentions traditions he has entrusted to the young pastors/elders. In other words, maturity in Christ had some structure to it. In time, Paul would depart the churches he planted. Before he did, he would appoint godly elders to lead the church. There are a couple other truths from Acts 14 and 20 worthy of noting with the establishing of elders. First, the elders were chosen from within the body. Pastors were not brought in, they were developed and trained. The church knew these men and so, we can assume, they trusted them. Second, the elders were appointed by those in authority. There does not appear to be any confirming votes by the congregation. According to Acts 20, through their laying on of hands, the Holy Spirit was the one doing the appointing. Finally, this is probably why the selection and installation of these leaders involves prayer and fasting. Because we know Paul himself experienced this same thing, we begin to see a pattern emerge. There is certainly much more than can be said. But this short summary gives us some insight into how churches were planted, grown, and released to godly men to lead. Though there certainly variations to this cycle in a given context or situation, for the most part, the book of Acts provides us a solid guide for how all churches should endeavor to plant. Additionally, it gives us a helpful rubric to assess where we are at as a church and what exactly we are to focus on at the moment whether that be commissioning new leaders or strengthening the ones you have. The second chapter provides us a snapshot for the entire book of Acts. The chapter gives us a glimpse into how God, by His Spirit, builds His Church through gospel truth, gospel community, and gospel living (our core values). Before we can identify any pattern of sorts, it is important that we understand the form and function of the particular Scripture that we are reading. Specifically, we must understand the genre of the literature, its intended audience, and its historical purpose. Paul says that ALL Scripture is breathed out by God, ALL Scripture is useful, and that ALL Scripture is designed to build our faith (2Timothy 3.16; Romans 15.4). But ALL Scripture doesn’t do this at the same time in the same way. While all Scripture plays a part in the larger story of the Bible, we need to understand how each book of the bible, or letter, or song, is being used so that we know how to use it. In reading the Book of Acts, it is important to start with understanding questions like: Who wrote the book of Acts? What is the book of Acts about? Why was the book of Acts written? How are we to use the book of Acts? What is the difference between prescriptive and descriptive passages? Disciples Pray Together (V.1): As they are waiting for the Holy Spirit, we can assume they are praying as they were in chapter 1. Prayer has always been of first importance in doing God’s work. Even before Jesus died and rose again, he did not tell his to work but to pray for more workers for the field (Matthew 9.37-38). The Holy Spirit Moves (V.2-12) : God always moves first. Men who move before the Holy Spirit empowers or speaks are foolish. And the move of the Holy Spirit is more than a feeling. As we see in Acts 2, it is evidenced by a power, revelation, and might works (That often stir questions from the community). Leaders/Missionaries arise or are sent (v. 14-21): The 12 disciples had already been commissioned as Jesus’ leaders. Now, we see that among the leaders among the leaders–men with a special call or commission. In this case, Peter arises as the first among equals. The ministry of the church will center in Jerusalem led by Peter through Acts 12. From Acts 13 until the end, we see it shifts to Antioch led by Paul. The Gospel is Preached (V.22-40): Peter, an uneducated fisherman, preaches his first sermon. His first sermon was simple. He did not teach. He did not counsel. He proclaimed what Jesus had done to save men from their sin. He called the people who had killed Jesus to repent, called for them to believe that He was alive, and called for them to receive the Holy Spirit. Unlike many sermons we hear today, Peter’s first wasn’t creative or colorful. But unlike many sermons today, it was convicting. People are Converted (v.41): When the gospel is preached, people want to love Jesus or kill Him again. There is never a “so so” response to the gospel. If there is no response, then the gospel is not being preached. As a result of the gospel going forth, about 3,000 people become Christians. A Church is gathered (v. 42-46): The new believers gather together to worship at the temple and to fellowship in homes. The experience what we would call “Gospel Community”. People who were strangers, people of different ages, races, genders, and social stations gather as one big family of families. They learn together. They worship together. They take communion together. They pool their resources together. They do life together. This is much more than a costco membership–they invest in one another’s lives. The Church Witnesses by how they live (v. 47): As the church gathers, they do not plan any gospel outreach events or evangelistic crusades. They simple live the gospel out. And as they do, the community begins to love them. Then, it begins to join them. The greatest evangelistic tool the church has, it seems, is loving one another in a gospel-centered way. This is how God built His church. This is God how God builds His church. This is how God will build His church. As we grow and go, we must ensure that we are trying to out-strategize God. 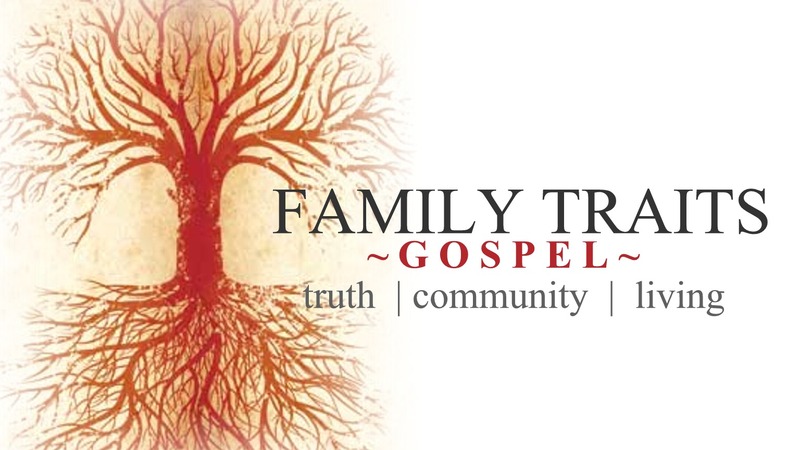 We cannot commit to be fruitful (that is not in our power), but we can endeavor, by grace, to be faithful to preaching gospel truth, gathering as a gospel community, and devoting ourselves to gospel living. On Church Planting #2: The power to do what? where? how? More than once Jesus told his disciples that He had come to serve and that, eventually, He would suffer and die (Mark 8.31; 9:30, 31; Matt. 17:12, 22, 23; Luke 24:7). As that time approached, Jesus assured his disciples that God would help them to complete His mission–to do even greater things than He had accomplished. To that end, they would not be “sent into the world” alone by themselves. But the Helper, the Holy Spirit, whom the Father will send in my name, he will teach you all things and bring to your remembrance all that I have said to you. John 14.26. In his gospel, Luke makes it clear that Jesus’ ministry led, empowered, and protected by the Holy Spirit. Jesus was led by the Holy Spirit. Jesus was comforted. Jesus spoke, taught, and preached by the Holy Spirit. Jesus performed miracles by the Holy Spirit. Jesus prayed by the Holy Spirit. Jesus lived, died, and rose again by the Holy Spirit. So, it makes sense that, Jesus gave his final commands through the Holy Spirit (Acts 1.2). By the Spirit He had already charged His disciples with the Great Commission to “GO”. Before they “WENT” anywhere, Jesus told them they had to WAIT. He ordered them to stay in Jerusalem and wait for the promise of the Father. He didn’t say how long to wait. He told them not to move until God did. This must have been strange to hear and, perhaps, even harder to do. Having spent 40 amazing days learning from and fellowshipping with a resurrected Jesus, its safe to assume they felt like they could take on the world! The truth was, without the Spirit of God, they were powerless to do what God had commanded. “But you will receive power when the Holy Spirit has come upon you, and you will be my witnesses in Jerusalem and all Judea and Samaria, and to the end of the earth.” Acts 1.8. If we move without the Spirit of God, we move without the power of God (It is equally tragic–or worse–to wait or remain in active, when we have received the power of God to move). In Acts 2, the Spirit does come, the apostles are filled, and they do receive power. But the power is given toward a particular end. They are not empowered simply to be wise, to be good, or to be moral. God sends His Spirit to empower them to be witnesses. Salvation through faith leads to proclamation through the Spirit. According to Jesus in the Gospels, the Spirit is sent to teach and help. According to Jesus in Acts, we are taught to be witnesses and helped as we witness. Empowered by the Spirit then, the disciples are equipped to fulfill their mission beginning in Jerusalem and extending to the ends of the earth (at that time Rome). The book of Acts proves this is just what they do . Act 1 begins with Peter in Jerusalem and Acts 28 ends with Paul in Rome. And in between Acts 1 and Acts 28, we see how the Spirit grows a frightened group of disciples into bold witnesses to the Resurrection. Even a cursory survey of the book of Acts reveals the Spirit actively empowering their mission. The Spirit speaks to them. The Spirit reveals through them. The Spirit falls on them. The Spirit leads them. The Spirit commissions them. The Spirit empowers them. The Spirit constrains them. With every new chapter, the Spirit seems to empower in a new way. All that to say, we cannot, should not, and will not (even if we tried) make disciples or plant churches without the Holy Spirit. Strategies, people, money, and even opportunity can inspire us, but only the Spirit of God can empower us. 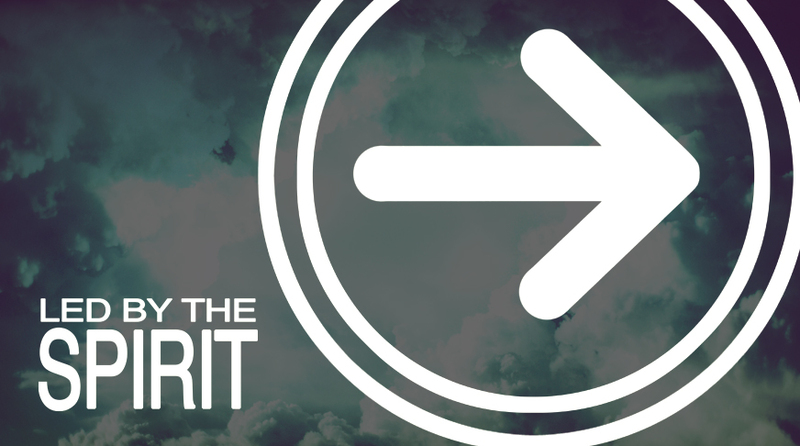 We must WAIT for the Spirit if we are to “go” in the Spirit. When we know the Spirit is telling us to go, we can run with unrestrained courage. But the Spirit doesn’t always speak when we want Him to. He is not like a teenager with unlimited cell minutes. In other And, to add to the confusion, according to 1John 4.1, there are a lot of “spirits” telling us to go and do a lot of things. But these Spirits must be tested by the Word of God and this takes time. Not only does the Spirit NOT speak when we want Him to, He often doesn’t say what we want to hear. We assume the Spirit will only say what we want to hear, or will only lead us down paths of prosperity and earthly joy. If the Book of Acts gives us some sort of insight into how the Spirit leads, sometimes ( a lot of the times) the Spirit will lead his disciples into discomfort and affliction. The point of all of this is two-fold. 1) Any mission without the Spirit of God is not the mission of God. 2) The heart of the misssion of God is to witness to the cross of Jesus Christ. So, by His Spirit, God will lead his people into comfort or discomfort, pleasure or pain, prosperity or poverty, if it means His people will be greater witnesses to the gospel of grace. And, by His Spirit, His people will follow. After His Resurrection, the Bible says that Jesus spent 40 days with his disciples teaching about the kingdom of God. We can only imagine what Jesus taught , what he clarified, or what he warned his disciples about. The only words that we have recorded are Jesus’ last words to His disciples. It follows then that these are the only words, from those forty days, that Jesus wanted us to concern ourselves with. All three of synoptic authors record His last words at the end of their gospels, all sounding slightly different: Matthew 28.18-20; Mark 16.15; Luke 24.44-49. Additionally, Luke records a variation of Jesus final words at the beginning of the book of Acts. Most are familiar with Jesus final words as “The Great Commission.” The truth is that the heart of the Great Commission actually first was heard somewhere in the middle of Jesus’ ministry. Through a dialogue with Peter in Matthew 16, Jesus explicitly identifies the purpose of his coming as the building of his church. In context, it is doubtful the disciples understand what he means though Jesus tells him that the foundation of this building will be his death and resurrection. Implied in this exchange, is the role of the disciples who will “follow” Jesus by taking up a cross like his. After Jesus resurrection, and before his ascension, Jesus clarifies His Command by becoming more specific. He tells His disciples to make disciples of all nations, to bring those who receive his word into the church through baptism, and to teach them all that Jesus commanded. How quickly we forget, however, that one of his commands includes the Great Commission itself. Though we might argue about exactly what the Great Commission means, it is doubtful we can argue away from the fact that it is a command. In other words, the Great Commission is not advice, it is not optional and, as far as I can tell, it is not fulfilled. I believe Pastor David Platt, at a conference last year, laid out what fulfilling the Great Commission will require well. The Great Commission is what Jesus wants us his disciples to devote themselves toward until He returns to earth or they return to heaven–whichever comes first. As a disciple of Jesus, not just a pastor, I must concern myself with what it means to obey this command personally and, as a pastor, what it means to obey this command corporately. Because, if it is a Command, then it is something that we can fail to obey . The easiest way to fail to fulfill the Great Commission is to ignore the first word of the last words Jesus spoke in Matthew 28.19 — “GO”. The word GO reminds us that building a community of believers has a purpose: it is a means to an end, not the end itself. Sometimes, however, we confuse church for the mission. The church does not have a mission, the mission has a church. And the mission, to be executed by the church, is to make disciple–to multiply. Specifically, we believe we are called to make disciples and plant churches. This commitment requires a conviction that the Great Commission can be accomplished and will be completed. Furthermore, it requires that pastors and churches view themselves not as the end of the mission, but as a means to mobilize and equip people for mission through the local church. We must not forget that is not a “new” work of Jesus, this is the continuing work of Jesus who is building His church. Jesus came to save sinners bring them back into relationship with their Father. Doctor Luke makes a point to identify the purpose of both volumes he writes (Luke, Acts) at the beginning of Acts where he writes: “In the first book, O Theophilus, I have dealt with all that Jesus BEGAN to do and teach until the day when he was taken up, after he had given commands through the Holy Spirit to the apostles he had chosen.” (Acts 1.1-2). The book of Acts is what Jesus is continuing to do, by the Spirit, through his apostles. He is still on the same mission. Through future blog posts, I will endeavor to detail how the disciples appeared to have understood His command specifically. I believe we will see that God saves us by the power of the gospel, believers are gathered into a FAMILY where we grow in the gospel together—taking it deeper into our own hearts as we share it in one another’s lives. But that family is not only a collection of maturing brothers and sisters who love one another; it becomes a team of ambassadors who are SENT on mission into the world. Genuine faithfulness requires that we both gather AND scatter. Our church will officially turn 7 years old in November. In that time, God has done more amazing things, personally and corporately, than I could ever possibly list–and those are only the ones I know about! There are countless attacks God has protected us from, mistakes he has turned us from, and decisions he has stopped us from. By grace and power, Jesus has built his church despite us. From the beginning, we intended to be a church planting church. Even as we were planted ourselves, we supported church planters locally and internationally. We have always intended for our core values, especially church planting, to extend beyond words on a piece of paper. We learned rather quickly, that a commitment to church planting never fails to inspire the same kinds of curious, or down right critical, questions that parents of more than 2.5 children (and less than 2.5 dogs) probably experience regularly. Not to be discouraged, after 5 years of building Damascus Road Church, we planted our first church in 2011, Communion Church in Mount Vernon, WA. The entire experience was exciting and terrifying all at the same time. There was much sacrifice and, when all was said and launched, there were many tears of joy and even more tears of loss. According to Acts 20, perhaps this is “normal”. The entire experience was painful and exhausting but, like giving birth to a child, the reward was deeply satisfying. It took us all several months to heal, at times it felt like some kind of postpartum had set in. It was too soon to even think about having another “baby”. But we knew that a decision to not plant any more churches can be just as unfaithful as a reckless commitment to plant many more churches. We learned that sometimes the most faithful thing to do is rest–and so we did—for two years. All the while we knew that the “Bride’s body” is designed to reproduce–it was not a matter of IF but WHEN. So, within a year after launching Communion Church, the elders found themselves discussing and praying about where God might have us go next. It has been over two years, and we are on the cusp of launching a new church again. Truth we told, we launched a church into another city nearly 6 months ago. Our launch has been “soft”, meaning, we have avoided the pains that “normal” church planting entails. But over the next month, we plan to make changes I expect will prove painfully rewarding like before. 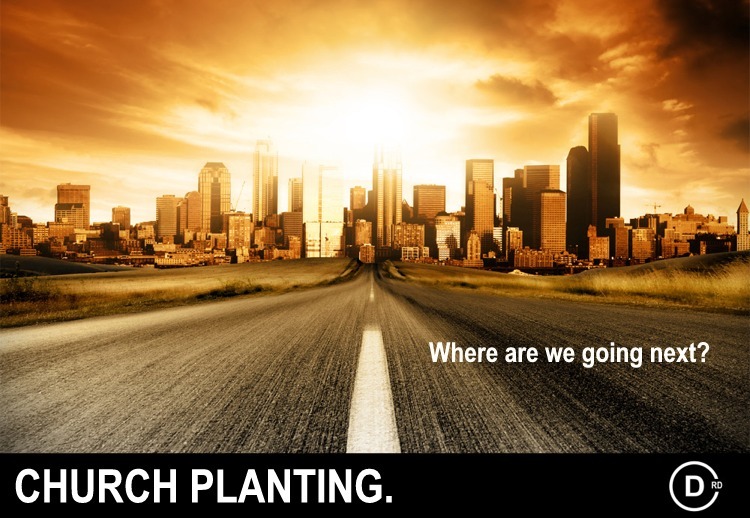 So, for the next couple of weeks, I am plan to blog about church planting. We will journey through the book of Acts (focusing on chapters 13-16) that we might understand exactly how the disciples understood Jesus’ Great Commission. 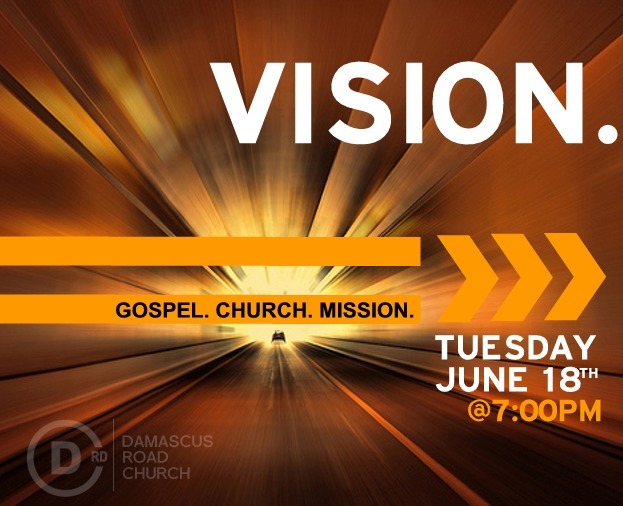 By the time we get to our June 18th Family Meeting, I hope our church has a firm grasp on why churches should plant churches, and how. The above Scriptures are subject to change. The series will end with a summary of the entire cycle of church planting. I trust that reading all of the blogs will give everyone clarity on where we have been as a church, where we are, where we are going, and why. In my pursuit of more joy this year, I have begun reading Dangerous Calling, by Paul David Tripp. From its very first pages, the book cuts like a knife–in a good way. By God’s grace, as I read this I am reflecting on where I was, not where I am. So while this a book every pastor should be required reading for every to read, I doubt a pastor can really appreciate what is written until they are about 5-6 years into full-time-ministry–just enough time to come face to face with the reality of their weakness. Perhaps I am speaking only for myself, but I believe that it takes some time for the pride-filled idealism to wear off (at least a little). In other words, it takes several years for the pastor to start listening to his own preaching and come face to face with his idolatry. This is also just about the time the pastor has a breakdown, his marriage implodes, his family falls into chaos, and/or he decides to get out of ministry all together and drive a bread truck. Sadly, sometimes those all happen at the same time. Do you really believe God knows what He is doing? Do you really believe God is in control of everything that is done? Do you really believe that everything He does is purposed for good? I have been asking myself these questions today. When your expectations are met, they are easy questions to answer. When your expectations are not met, the answers come more slowly, as the substance of your faith is tested. 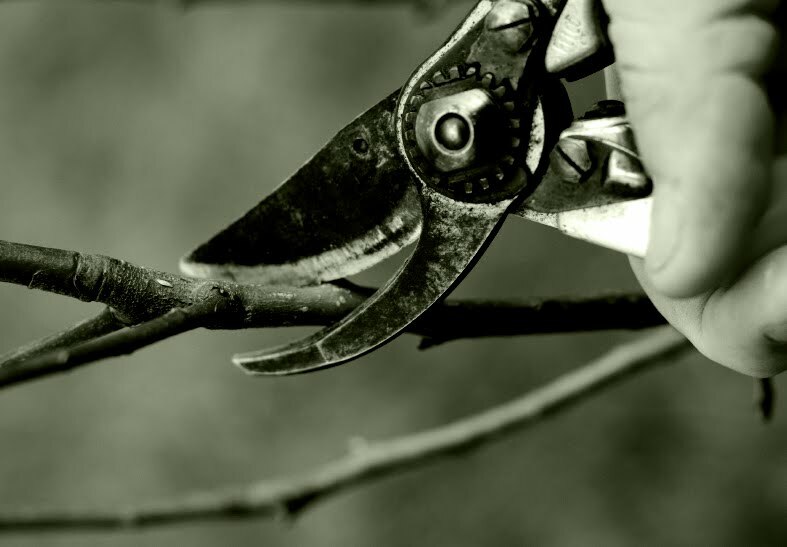 Because God is the faithful gardener of His church, dedicated to its beauty, devoted to its health, and committed to its growth, He never fails to prune, trim, and thin when necessary. It is not a matter of if, but when. And when he does this, it is always at a time when His church is robust; it is always by means of something that is painful; it always results in a church that is less than it was, even ugly, at least for a brief time. But God knows what He is doing—He is perfectly wise. God is in control—He is perfectly sovereign. God is purposing all things for God (even the “bad” things)—God is good. Without fail, God’s and His arborist ways will produce more fullness and more fruit every time, though it may be difficult to believe from our finite perspective. Help us with our unbelief Lord, and may our contentment never be governed by the character of our changing circumstances, but by the character of our unchanging God.